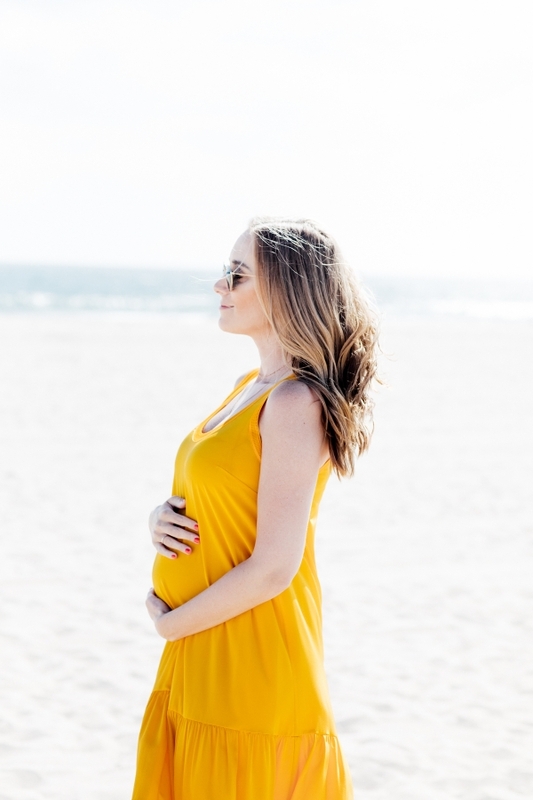 We are having another heat wave here in Orange County and I hope to plant my toes in the sand as much as possible before baby arrives. Fridays this Summer have been amazing as I take my prenatal yoga class most Friday afternoons. It’s a time to focus on myself and baby and practice a little self love. It’s so important to take that time for yourself no matter your life stage. I love having this 1 hour class planned and look forward to it so much. I am starting to finally make some progress organizing the nursery which is making me feel more and more prepared everyday. I know I will never feel like I have it all together and all taken care of and baby will come whenever it’s right for him. So in the meantime, I will continue to hustle to get everything buttoned up while enjoying these Summer moments. docdivatraveller - This is a gorgeous dress ! nat - this dress is so gorgeous!